With a minimal number of parts that are super easy to assemble, the Hakan GÃ¼rsu’s Living Pots are a great idea for people who want to plant their own flowers or even mushrooms without having to dispense a lot of space. It’s the perfect planter for the city gardener! 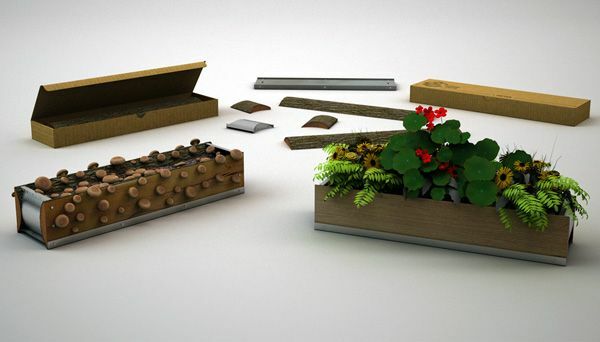 And the Living PotsÂ better feature is that they are composed of 100% recyclable and reused wood and metal, using lumber scraps that would be burned otherwise. If you’re curious, you can find out more about the creators of this product here and learn how to assemble a Living Pot with this video. But, for now, check our gallery.